For drivers in Cypress, TX, looking for their next new or used vehicle, look no further. Robbins Nissan, located in nearby Humble, is proud to now be the Nissan Dealer serving Cypress, TX. 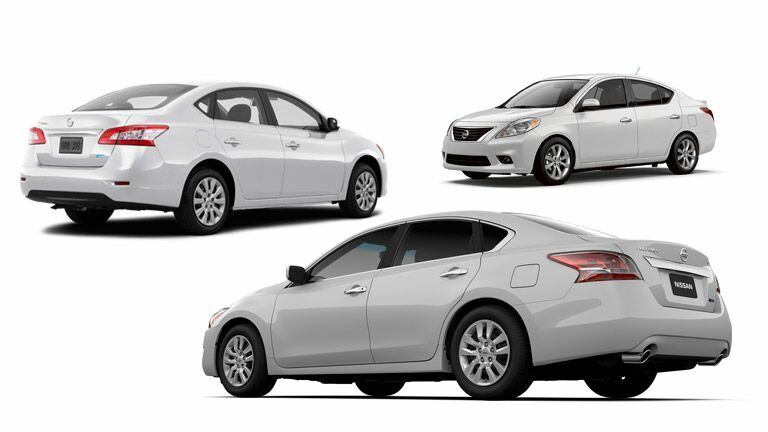 With our extensive inventory of attractive new Nissan vehicles and affordable used options, we use our unique understanding of the people of the area to provide the most comfortable and helpful shopping and service experience in the area. Our staff works with you to not only find you the finest vehicle to suit your lifestyle, but also assist in the financing process to ensure that the decision to purchase a new or used vehicle from Robbins Nissan is a decision you’ll cherish for years to come. So what sort of vehicle are you looking for? A cheap-driving commuter vehicle with an unintimidating sticker price? Why not try the Versa Note, or perhaps the all-electric Leaf? Or maybe you want a comfortable family vehicle, perfect to move people or cargo? You might like the refreshed Rogue, or maybe the best-selling Altima. Or maybe you need a vehicle to dominate the jobsite? In that case, you might be interested in the full-size Titan or the mid-size Frontier, both capable and confident workhorses. For all your sales and service needs, Robbins Nissan is your local Nissan Dealer serving Cypress, TX. As the Nissan Dealer serving Jersey Village, TX, we at Robbins Nissan take special care to ensure that each customer receives only the finest service, and this is in keeping with our overall business philosophy. At Robbins Nissan, we understand that the relationship we create when you first visit our dealership doesn’t end when you drive away in your next new or used car. There will be future services, you may have kids and need a larger vehicle or, who knows, you might actually eventually be buying a car for your child down the road. We at Robbins Nissan understand the relationship between a dealership and a driver is often more than just a passing one. As a part of the Robbins family of dealerships that have served the area since 1928, Robbins Nissan does everything to cultivate friendships with our neighbors and surrounding communities, and we look forward to assisting you with your next vehicle purchase! At Robbins Nissan, we understand that situations will arise where you might be in need of Nissan Service near Cypress, TX. In these situations, our full-service automotive department strives to offer helpful professional insight to diagnose any problem, quickly provide the necessary services, and get you back on the road in a timely manner. We are dedicated to make certain that you get the best service the first time, every time. For our friends in the communities of Cypress and Jersey Village, TX, we encourage you to visit our dealership in nearby Humble today. We look forward to showing you our wonderful financing and service specials, and will work with you find the vehicle that is best suited to your lifestyle.